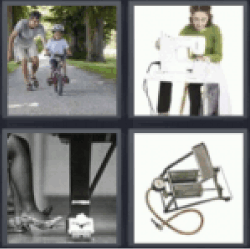 4 Pics 1 Word Boy learning to ride bike. Sewing machine. Piano pedal. Air compressor. Silver machine.